You’re probably familiar with 360° video by now. Forward-thinking brands are experimenting with it on Facebook all the time, but imagine being right in the middle of a room-sized 360° video. Stepping inside the 360° walls of Igloo Vision at London's VRLO to be surrounded by peaceful scenes of the beach at sunset, underwater, and our solar system, I was quickly hooked with the idea of immersive 360° video panoramic projection. Igloo Vision creates 360° projection environments, aka giant domes or cylinders (accommodating up to 1,000 people), and Blend Media are the masters of 360° video content, which is projected onto the walls of the dome/cylinder. Visualise is a virtual reality (VR) production studio, but it also specialises in 360° video content creation. It offers 360° video, VR apps, 360 post production and 360° live streaming. 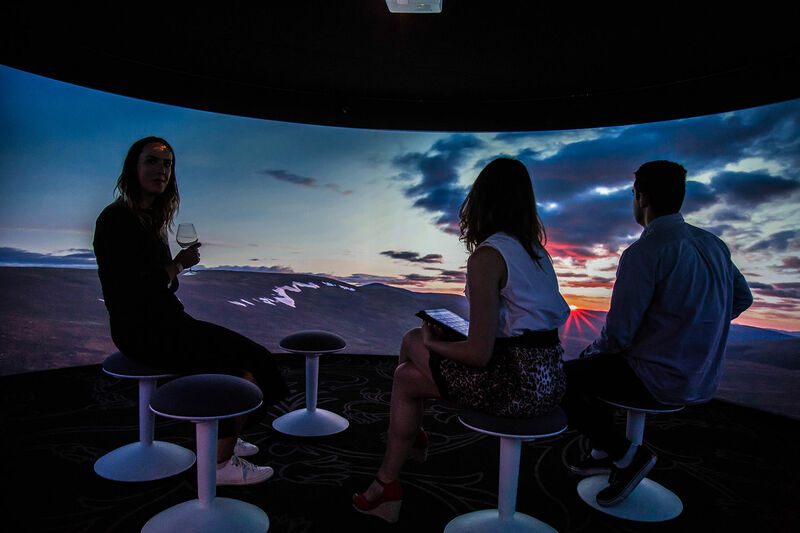 We take a look at what Blend Media, Visualise and Igloo Vision bring to the world of immersive technology. It's not secret to brands that impeccable visuals are crucial to success. But soon audiences will become numb to traditional videos – many of us can consume hundreds in a day. Immersive content is what everyone is trying to get their hands on, but no one is quite sure how to measure its success yet (no page views, social media likes or YouTube subscribers), or how to predict its true scope and potential. The term usually refers to virtual reality (VR), augmented reality (AR), and whole room experiences similar to what Blend Media and Igloo Vision offer. Although there’s huge investment and research currently behind VR and AR, it’s still largely expensive and inaccessible to most of the public (although Visualise have created ‘the route to mass adoption’). However, 360° video is more versatile. It’s being used by brands and news organisations frequently on Facebook, which helps people to become familiar with the medium. For more on immersive content, check out AR and VR projects happening right now, including Found Studio's immersive storytelling and how AR is teaching Londoners about endangered species. But what’s the point of 360° video projection? Beyond creating audience engagement for brands or cool installations at festivals and events, 360° video projection can serve many purposes. Blend Media say dome projection can be used for meditative purposes, and after experiencing the relaxing lapping of waves onto a white-powder sand beach on repeat, I can definitely see why. 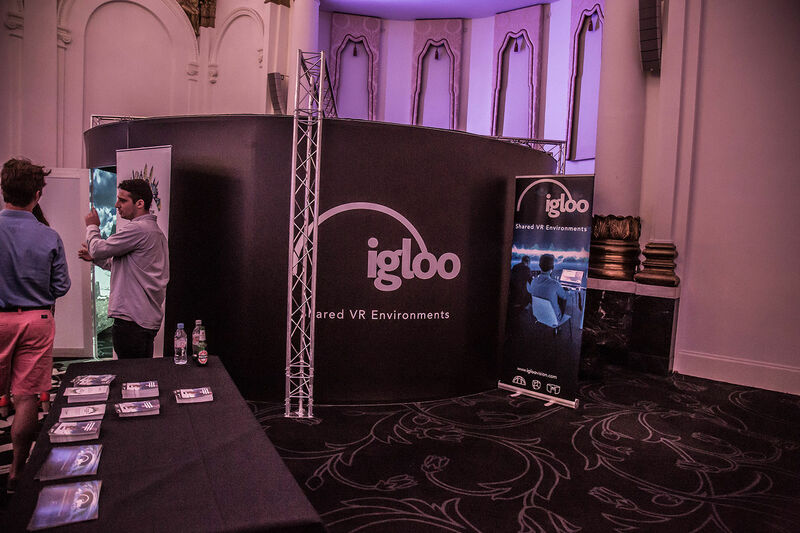 Igloo Vision says it can be used to immerse teams into any scenario (for training and familiarisation), to entertain, or to bring design concepts to life. This could include anything from risk assessments by sectors such as engineering and mining, to visualising architectural or interior design. 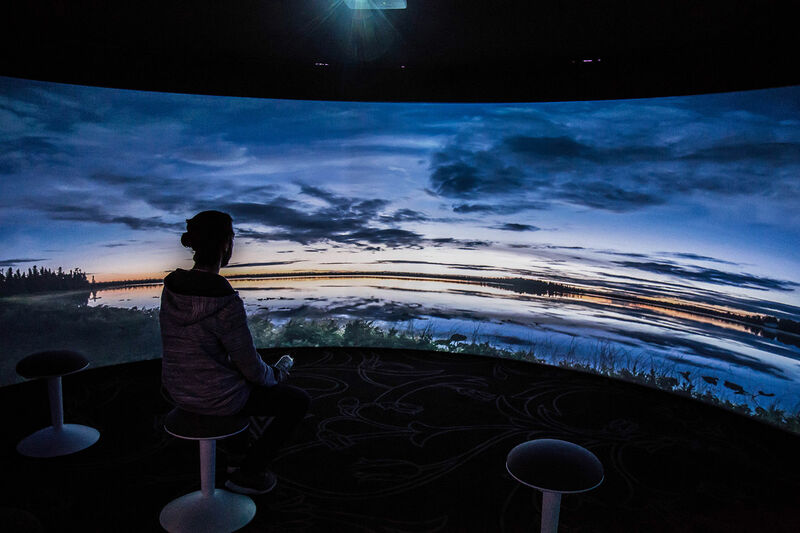 360° video projection, much like virtual reality, can be an alternative education tool, used by institutions such as museums and universities. It could be used for immersive theatre, or even set design. There’s definitely potential for games that follow a narrative, such as (the yet to be released) Last Day of June by 505 Games, which already has 360° elements, to be projected onto a cylinder. The possibility of AR mixed with 360° video projection can create and immersive and interactive experience. How is 360° video content created for projection? Blend Media is a creator and distributor of 360° video content. The company offers it services to brands and publishers all over the world, such as YouTube, UniLad, Facebook, Google, Lonely Planet and creative agencies such as Framestore. The main intention and distribution of 360° video content is for “deeper audience engagement”. They claim to have the largest library of premium 360° video and VR films, available to license for use in campaigns across social media, VR headsets and WebVR. A global network of 360° video creators makes the content, but Blend Media can also support brands to create their own experiences within the browser. Blend Media creators primarily work in 8K video quality, as well as the normal 4K (which is their minimum and most popular standard). “However, 8K content looks beautifully sharp in the cylinder,” says executive Rachel Dennis. Until recently, Blend Media used a few compact 360° cameras that were capable of shooting genuine 8K content, meaning creators would usually have to work with multi-camera rigs which could make things quite complex. But things are expected to improve. “The range of camera options and tools available on the market is steadily increasing allowing producers to really push the quality of new 360 content,” says Rachel. There are a number of challenges in shooting 360° content for domes or cylinders, according to co-founder of Visualise and 360° content creator Henry Stuart. Where possible, real life distances of objects is matched to the distances of the screen. “We have found that motion on the screen works really well, everything from a gentle walking pace, combined with a treadmill in the dome (our project with Goretex) through a time-lapse on a river boat sweeping through the Thames at night and as far as 8K 360° footage from the top of a Renault F1 car (Castrol),” says Henry. He says the quality of video in 360° depends on the size of the sensor and the quality of the lens, particularly in dome projections. “We always try for very ambitious rigs and grade the footage in the dome itself, to pull the best out of the projectors. “Plus you also need to factor in extra time for rendering and testing as you're working with twice the volume of data,” he says. What about the dome it’s projected onto? 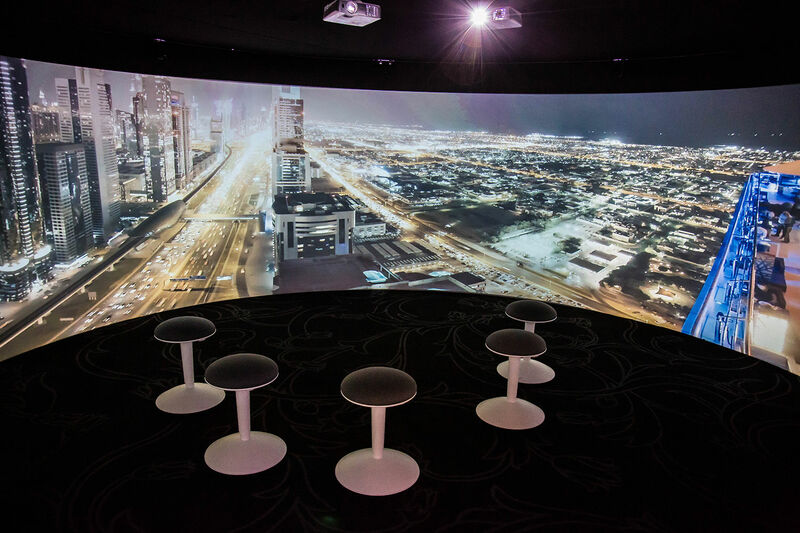 Igloo Vision is one provider of 360° projection domes, cylinders and all of the enabling technologies, including their own layer-based visualisation system which is compatible with almost any 360° content. It also creates its own 360° video content.